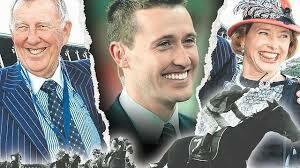 Tom Waterhouse and mum Gai to face their Waterloo? That it could shock anyone that there could be skullduggery at the stables where the “sport” of horse-racing is built on the proceeds of gambling, still quite baffles me. As the public spat between horse owner Singo, horse trainer Gai and horsetrader Tom turns into a public relations disaster for the family and racing industry, today’s stewards enquiry is unlikely to address the core issue driving the furore. Good article from Tim Elliot explains the background. Hat tip to Foxsports for the montage image.